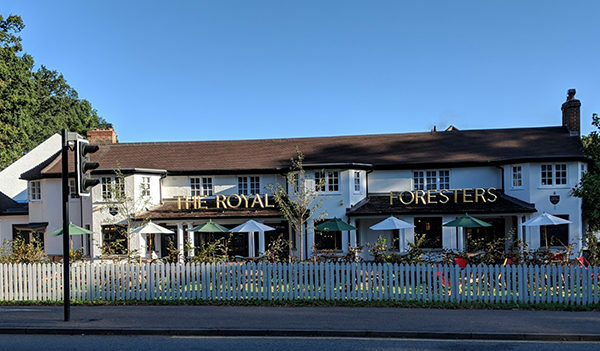 When The Royal Foresters public house and restaurant in Ascot closed in 2015 many locals feared that it would be lost for good. However, after being bought by Oakman Inns, this 140 year old property it has undergone a multi-million pound refurbishment and redesign, both internally and externally, and reopened this summer. In addition to a new glazed extension, landscaped terrace and beer garden, it is now a 24 room hotel with an upgraded restaurant and kitchen and a fully restored original bar area where InstaCoustic C40 cradle and batten flooring was installed. The original sub-floor was very uneven and the new raised acoustic flooring could be adjusted on site to overcome these variations and create a completely level floor, without the need for any messy and time-consuming wet screeds.